In June, there was already a Full Moon in your sign – however, one more awaits you in late July, too! It predicts that some important matter will be finalized and you’ll feel relaxed and relieved. Saturn, your planetary ruler, has been staying in Cancer for two years now adding more responsibility to the matters that concern your partnerships.  Things may be not so positive in the money matters, so do your best to finish all the negotiations till the middle of the month while Venus in Leo adds its beneficial influence to your finances. Besides, Mercury will turn retrograde on July 23, too, bringing possible postal delays – make sure you finish all the paperwork beforehand.